"Assunta" redirects here. For the hospital in Malaysia, see Assunta Hospital. "Santa Maria Assunta" redirects here. 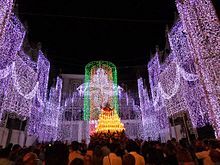 For churches with this dedication, see Santa Maria Assunta (churches). 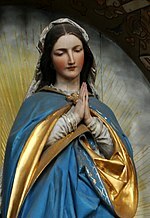 "Saint Mary of the Assumption" redirects here. For cathedrals with this dedication, see Cathedral of Saint Mary of the Assumption. This article is about the theological concept. 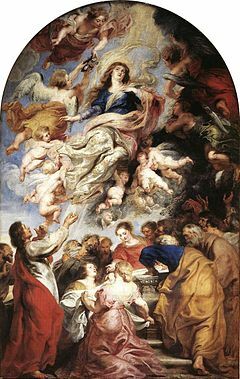 For works of art with this title, see Assumption of the Virgin Mary in Art. 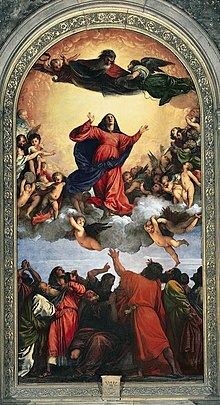 Wikimedia Commons has media related to Assumption of Mary.